HOUSTON, TX – On Friday September 29th, 2017, Uptown Dance Company opens their 18th Season with Soul Searching, an evening of three one-act contemporary dance works. Joining the company’s six dancers will be Principal Guest Artist Rupert Edwards III (a former Houston Ballet dancer, who performed with the group this past spring for Creative Minds at Uptown). This exciting program features the company’s first work by award-winning choreographer Barry Kerollis, a world premiere by Beth Gulledge-Brown, and the return of an audience favorite. Barry Kerollis describes his newest work “Disenabled” as exploring “the concept of a family unit putting their foot down in order to preserve their integrity in the face of manipulation and deception. As an audience member, we offer you a glimpse into their personal moment, and the resulting fallout when the individual chooses not to accept help or responsibility for their actions.” Mr. Kerollis was a member of Houston Ballet, Pacific Northwest Ballet, and Ballet X, and later held the position of Artistic Director of Alaska Dance Theatre. In 2014, he was selected out of over 60 international applicants to choreograph at the National Choreographers Initiative. He was a finalist at both the McCallum Theatre’s 18th annual Choreography Festival and the 2nd annual Visions Choreographic Competition. Mr. Kerollis has also received an Outstanding Choreographer award at Youth America Grand Prix.Mr. Kerollis currently teaches ballet and contemporary Broadway Dance Center and Steps on Broadway, and manages the contemporary dance department at Greenwich Ballet Academy. Mr. Kerollis is also well known for his podcast, Pas de Chát: Talking Dance (on the Premier Dance Network), and his award-wining the blog, Life of a Freelance Dancer. The music of Japanese composer Ryuichi Sakamoto inspires Artistic Director Beth Gulledge-Brown’s work of the same name as the evening’s program. “Soul Searching” portrays the spiritual journey of a man as he discovers and integrates the many facets of his diverse inner world. The addition of enigmatic poetry awakens age-old questions on the nature of human experience within our vast universe. 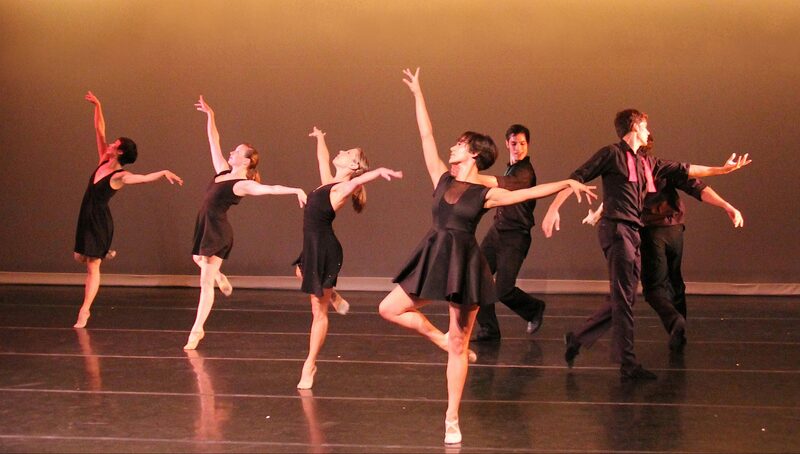 The program also includes the revival of “Café Flor,” created in 2013 by resident choreographer Alex Pandiscio. Pandiscio’s light-hearted work features upbeat music by the Hot Club of San Francisco, and Cuban singer Guillermo Portables. This quirky piece evokes a sense of nostalgia for some remote imaginative world where dancing inevitably ensues.